Today, Google is launching the biggest revamp of Gmail in years. The company is bringing to the flagship Gmail service many (but not all) of the features it trialed in Inbox for Gmail, and adding a few new ones, too. With those new features, which we first reported earlier this month, the company is also introducing a refreshed design for the service, though if you’ve used Gmail before, you’ll feel right at home. If you’ve followed along with the leaks in recent weeks, none of the new features will surprise you. 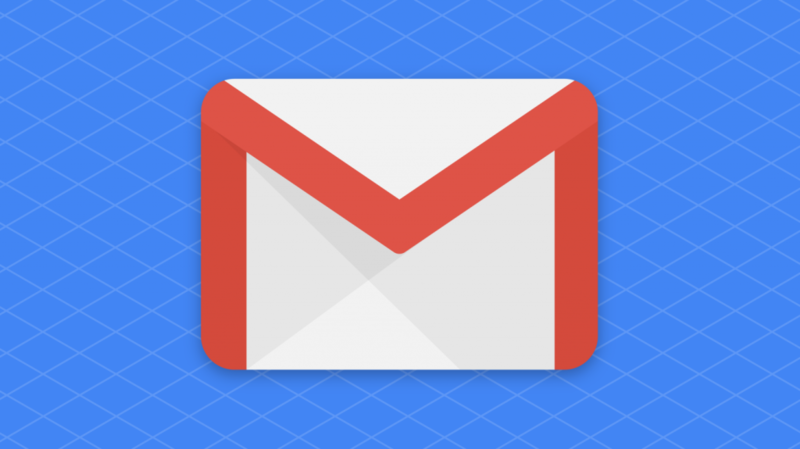 It’s also not a huge surprise that Google is bringing some features from Inbox over to Gmail. What did surprise me while trying out the new service ahead of today’s launch, though, is that some features that didn’t get a lot of attention in the leaks, including the new consistent sidebar with its built-in Google Calendar, Tasks and Keep integration, are maybe among the most useful of the additions here. But let’s start from the beginning. The new Gmail comes with a slew of new features. The first you’ll likely notice is the ability to take actions on emails right from the Inbox itself. Just like in Inbox, when you hover over an email without clicking into it, you’ll now see icons to archive and delete a message, as well as mark it as read (without ever reading it). There’s also a link to the new ‘snooze’ feature here. When you try to snooze an email, Gmail gives you the option to resurface it later in the day, tomorrow, later this week, on the weekend or next week. If you’re a fan of a clean inbox, that’s a good way to keep your inbox empty and still rest assured that an important email that you want to take care of later will pop back up into your queue. Oddly enough, the snooze feature is only available from the inbox. There’s no way to get to it when you’re reading an email. Google is now also using these same AI smarts to bring to the web its smart replies feature, which you are probably familiar with from the Gmail mobile apps. The other major new feature in this update is “confidential mode.” The idea here is simple: When you write an email, you can select for how long the recipient will be able to read the email. Recipients will not be able to forward, copy and paste, download or print the content. You can’t stop anybody from taking a picture of the screen of course, but what’s maybe more important here is that if anybody ever hacked the recipient’s account, that email with your confidential information will be long gone. For added security, you can also add a second-factor authentication here, where the recipient will have to receive an SMS message with a Google-generated pass code to read the email. Other new features in Gmail include high-priority notifications, which will only notify you of a new email if Google deems it to be really, important, and unsubscribe suggestions, which nudges you to unsubscribe when it looks like you stopped reading messages from a given newsletter (low open rates are the bane of newsletter publishers, after all, so they’ll be okay if you leave). But wait, there’s more (did I mention this is a major update?). Gmail is also getting a new built-in offline mode since it’s now a fully-fledged progressive web app. You can store up to 90 days of emails and search through them, for example. This new capability will launch in the coming weeks. Maybe my favorite new feature — and something that isn’t available in Inbox — is the new right sidebar, which comes pre-populated with a clever Google Calendar widget that gives you a view of a single day’s events and lets you add new events right from your inbox. The sidebar also features Google Keep for note taking (though sadly, it doesn’t look like you can attach notes to emails or even drop them into a note) and Google Tasks. Tasks has a bit of a connection to your emails since you can drag and drop emails into the sidebar to create new tasks. Personally, I use the Trello add-on for this (and all regular Gmail add-ons will still work with the new Gmail), but I’m sure people will find plenty of uses for this. All of those new features are supported by the new design, which itself feels more like a refresh than a revolution. Like before, you can choose between three density settings: default, comfortable and compact. The default setting is the most interesting option because it comes with a new feature, too: attachment clips. Instead of simply showing you the standard paperclip in your inbox to signify that an email chain includes an attachment, the new Gmail now highlights the attachments right underneath the message preview in the inbox view. Unlike in Inbox by Gmail, you won’t get a full preview of an image here, but you will be able to click right into the attachment without opening the email. It’s worth pointing out that many standard Gmail features aren’t going anywhere. You can still use the Priority Inbox and star messages, for example. You can still sort and filter emails into different folders/categories. If you like Google’s automatic filters for promotional emails, social media updates, newsletters, etc., then you can still use those, too. And even though nobody understands what Google’s plans for Hangouts really is, it’s still right there in your inbox. Sadly, one of my favorite Inbox features, the automatic grouping of travel emails (think flight confirmations, car and hotel reservations etc.) into a single bundle, has not made the move to Gmail (yet). Maybe that’ll come later.